Civil and business litigation can be complex, but our firm has the experience and credibility you need. Planning your future is a crucial process. Choose a lawyer who can offer elite representation. Why make an important transaction without legal representation? Our firm knows how to secure your interests. Construction defects can present serious hazards and headaches. Get help with your claim today. Whether you are dealing with a divorce, custody case, or any other family law matter, we can help. Have you been charged with a crime? Let our Texas criminal attorney fight for your reputation and your rights. When you are facing difficult legal matters, The Law Offices of Alex R. Hernandez, Jr. PLLC is here to help. Our expanding firm is focused on client-centered service. We founded Alex Hernandez Law Offices back in 2001 with the motivation to fight for the underdog. We still hold true to this ideal to this day. Start with a free initial case evaluation! - Se habla Español. We Are the Peoples' Lawyers and take our duty to represent the people of Texas veryseriously. Our hard work has paid off in the form of several awards and accolades. 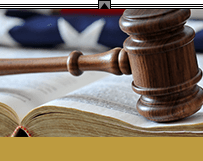 The Million Dollar Advocates Forum is recognized as one of the most prestigious groups of trial lawyers in the United States and less than 1% of U.S. lawyers are members. We will strive to earn you a satisfactory and compensatory settlement that is beyond what you even hoped. Avvo provides a forum for client reviews and peer recommendations. We have pleased so many clients and impressed so many attorneys that we've been able to achieve a perfect Avvo rating. 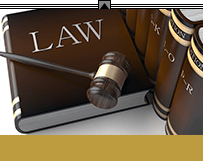 We are a committed team practicing in a variety of different legal areas. We understand how to fight for you both in the court room and in pre-trial preparation. No matter what legal situation you are facing, we want to help. If you were arrested, a Texas criminal lawyer from our firm can help. If you are going through divorce, our team is well-versed in divorce & related family law matters. Our attorneys are ready to provide experienced, aggressive representation no matter what you are going through. Contact our firm to request a free consultation. 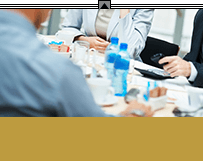 At this evaluation, we will sit down with you and talk in detail about your case. 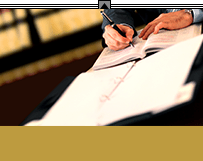 If we believe that we can help you through litigation or trial, we will attempt to do so. Call us today to start your journey to justice. We are available 24/7 and proudly serve clients all across Texas.